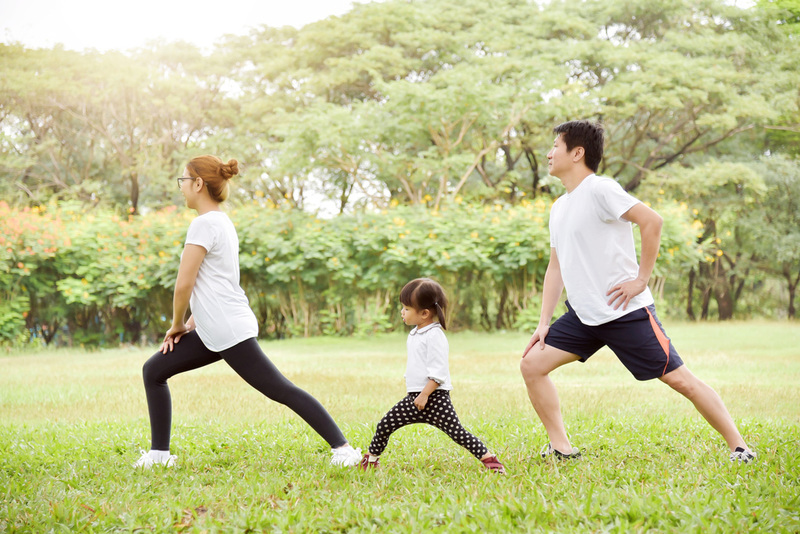 Whether it’s kids or adults, none of us ever seem to have enough time to stretch and warm up before we work out or play sports. We’re in good shape, we say. 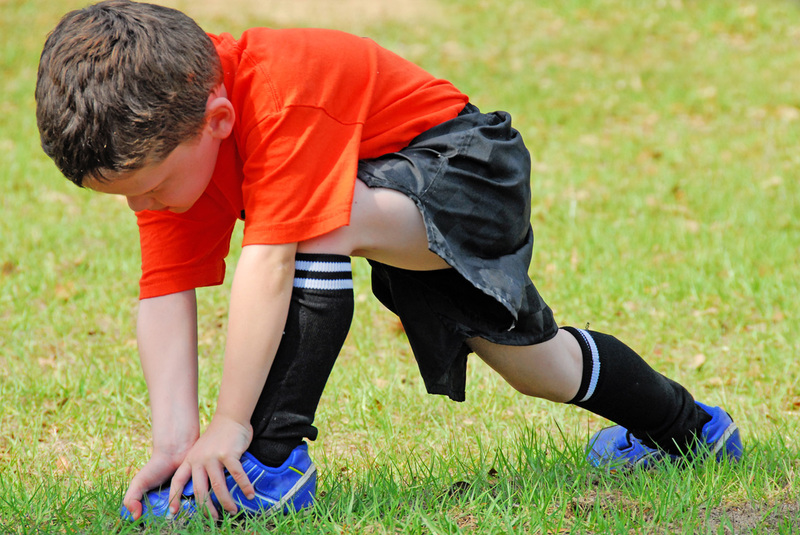 Our kids play sports every day ‑ they’re young and healthy. Why bother to stretch a little before or after? According to multiple sources including health organizations, medical associations, and sports clinics, it is indeed important to warm up your body before any physical activity. Warm-ups allow stiff muscles to move slowly at first, then as they warm, to stretch and move without any additional strain. Warming up also increases your heart and respiratory rate and boosts the amounts of nutrients and oxygen delivered to your muscles. Ideally 5 to 10 minutes. Often a warm-up is simply doing the activity you are about to do but at a slower pace. If you play a sport, you should do warm-ups that go with that sport. If you are running, take a short jog first. If you play baseball, move the parts of your body that get the most workout, like your shoulder or your knees. The same is true for stretching. These types of stretches are known as sports-specific stretches, and they focus on the muscles that are used for your particular sport. For instance, slowly stretch your hamstrings for soccer, or stretch your arms for tennis. Stretching is a beneficial activity after you have sufficiently warmed up. The reason for this is that stretching cold muscles can directly contribute to pulled or injured muscles. You should aim to stretch all the muscles that you are going to use in your main activity. Hold each stretch for 10-20 seconds. Holding a stretch for any less won’t sufficiently lengthen the muscle. Holding a stretch for longer may have negative effects on performance. Stretch the muscles gradually and don’t force it. And avoid bobbing. Only stretch until the muscle feels tight, never until it hurts. After you participate in your sport of choice, make sure you give yourself some time to cool down. You may not be sweating, but your muscles need to go soft and relax again, getting rid of any waste products accumulated by over stimulation. Your warm ups and cool downs don’t take much time from your sport. Always arrive early and start on your own if need be, then stay a few minutes late and help your muscles relax. Take care of your muscles so your muscles can take care of you! Next Post March is Youth Art Month!